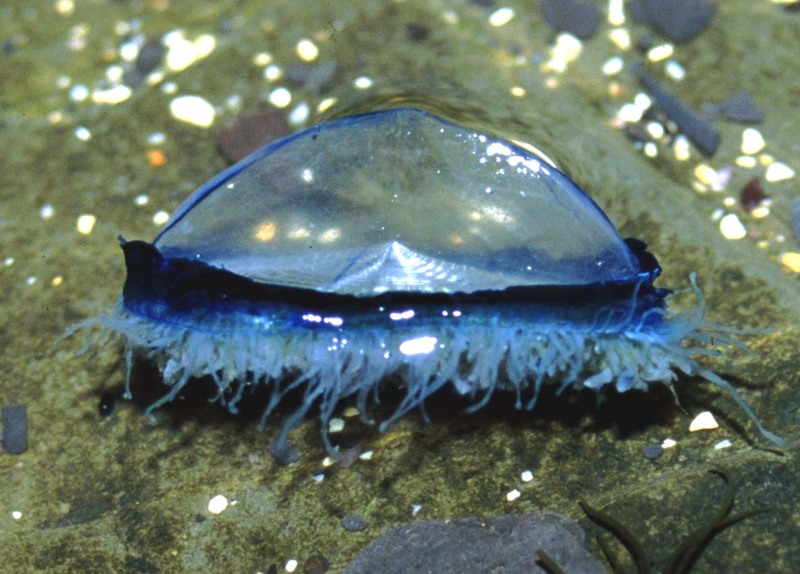 Millions (literally) of By-the-Wind Sailors, Velella velella, (a jellyfish-like animal) are being washed up alive to perish on the shores of Cornwall, now reaching up the English Channel as far east as Polperro and Looe. All are very small, around 15 mm in length, and still have fleshy body parts attached. 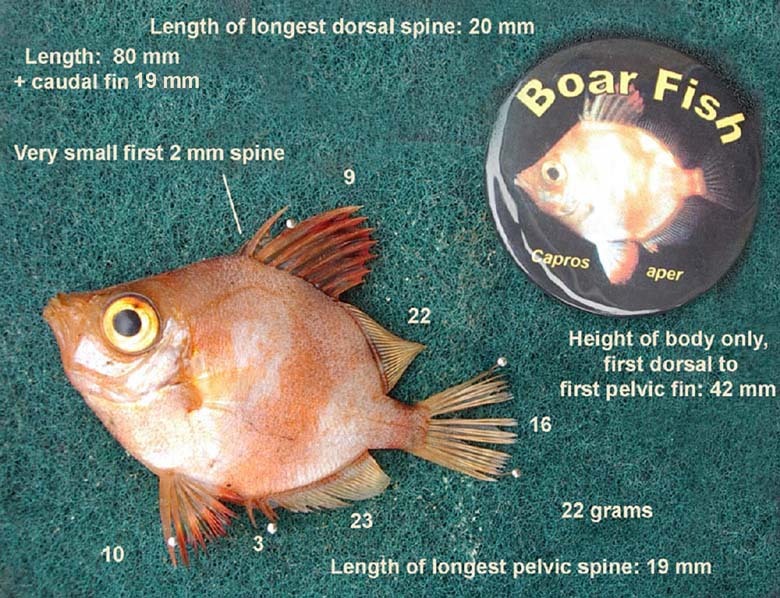 The famous Boar Fish, Capros aper, died after its aquarium sprung a leak in the middle of the night. (It was caught from the Sussex shore at Hove in November 2002). Quotes are being obtained for having the fish moulded and cast by a professional taxidermist. 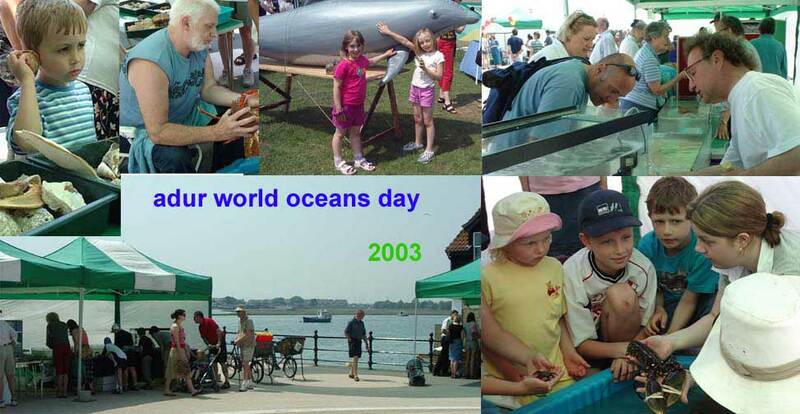 Shoreham bathed in a heatwave up to 24° C for the opening of the Adur Festival and Adur World Oceans Day 2003 on Coronation Green, Shoreham-by-Sea. About 3000 people attended the event that was steady and busy throughout. 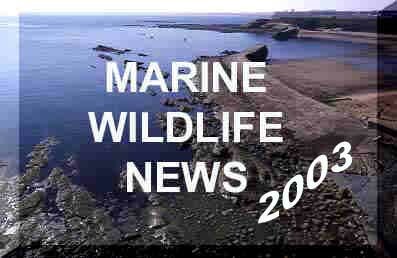 On 21 May 2003 Ray Lawman has reported to Ruth Williams that he there were about half a million Velella velella at "Soapy Cove" on the Lizard, Cornwall. 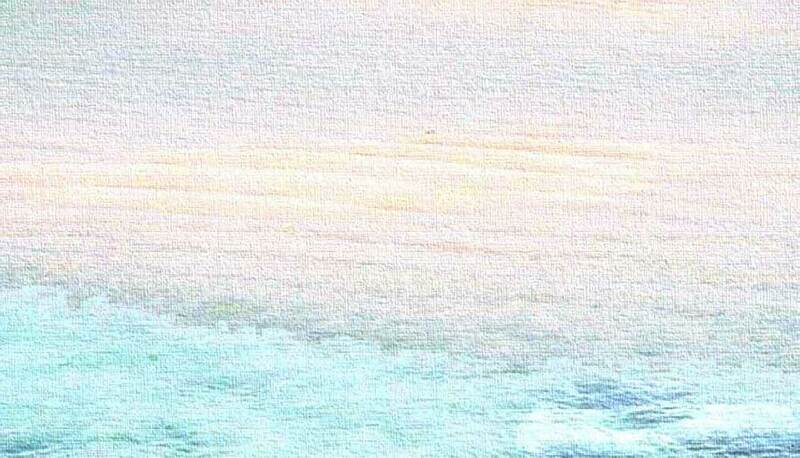 Tim Bain reports seeing a 5 metre long Basking Shark, Cetorhinus maximus, in St Ives Harbour, Cornwall, at dusk. This shark is the largest fish found in the seas around the British Isles and is regularly seen off the south-western coasts but only rarely actually enters harbours. "On the 25th November 2001 the crew of F.V. Regina Maris, skipper David Kessel, was fishing for hake with a monofilament set net when they netted a Barracuda. They were fishing 8.5 miles south east of the Lizard, Cornwall. The fish was sent to Newlyn Fish Market where it was bought for £16 by John Strike of the Quayside Fish Centre in Porthleven, Cornwall. The fish is 106 cm (total length) and 4.2 kg (gutted, so probably an ungutted weight of over 4.5 kg), and is the first record of a Barracuda in British waters." I initially identified this fish from photographs as Sphyraena sphyraena. However it has now been examined in detail and I was incorrect. 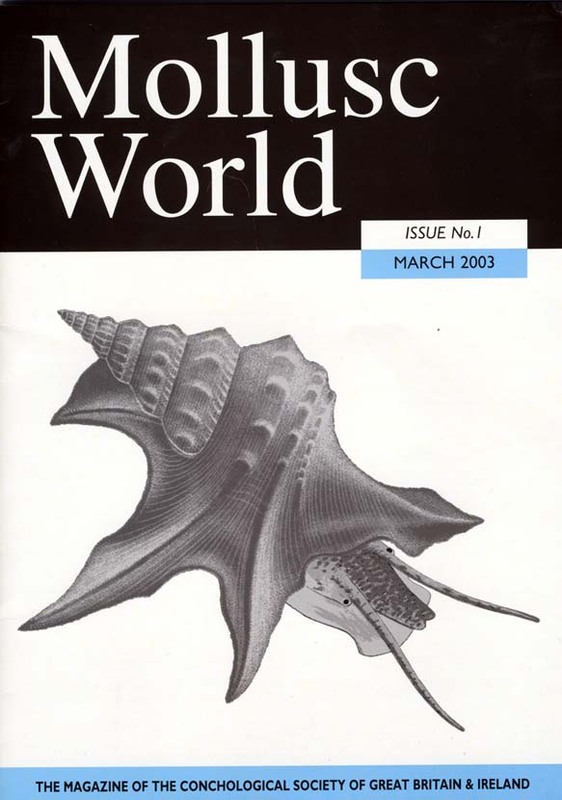 When this specimen was examined at the Natural History Museum by Oliver Crimmen it was found that the edge of the operculum was naked (not covered in scales as it is in). This, along with a few other features, showed the specimen to be Sphyraena viridensis, known as the Yellowmouth Barracuda. 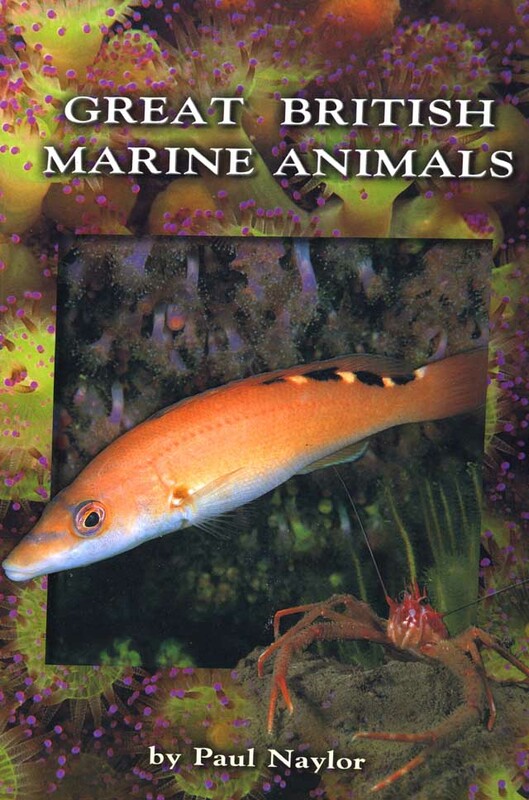 I am afraid I was misled by the size of the specimen, as the FAO guide to the Mediterranean (1987), the UNESCO Fishes of North-eastern Atlantic and Mediterranean (1986) and Miller and Loates (1997) all given the maximum size of Sphyraena viridensis as 65 cm (probably standard length) and this specimen was 106 cm (total length). 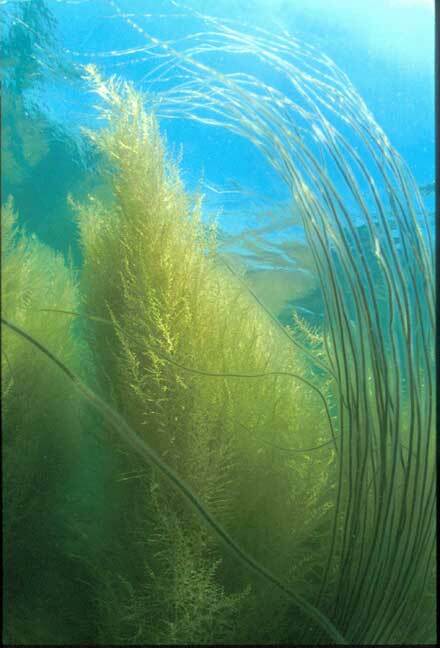 However FishBase does give Sphyraena viridensis as reaching 128 cm (fork length). FishBase does also say that the distribution of Sphyraena viridensis is uncertain as it is frequently misidentified as Sphyraena sphyraena. 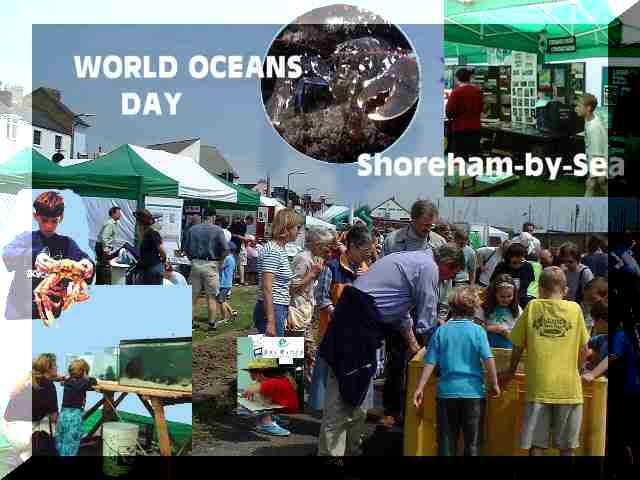 This query arose from Adur World Oceans Day. Can anybody identify the large worn shell, Glycymeris, to species level. It came from Portugal and is 99 mm long. Clicking on the image will bring up a larger photograph. 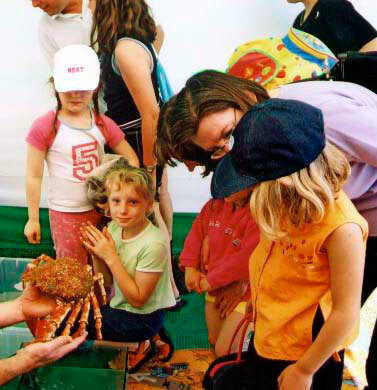 The Marine Biological Association, along with PYPA21 and BTCV/MV, are running a FREE Seashore Safari on Saturday 14th June. 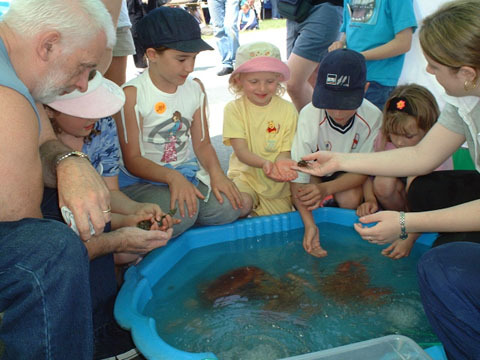 The event takes place at Batten Bay, Mount Batten (near Plymouth) and runs from 11:30 am - 2:00 pm. Bring wellies, waterproofs and lunch. From the A379 Plymouth - Kingsbridge road follow signs for Mount Batten. Alternatively take the water taxi from the Mayflower Steps, in the Barbican. The event will be clearly signed. 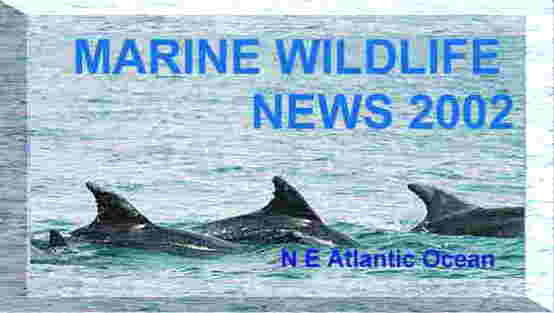 For more information visit www.marlin.ac.uk/learningzone or phone the MarLIN team on 01752 633336.